MFA, PhD, short story writer whose collection, A Catalogue of Everything in the World, won the St. Lawrence Book Award. 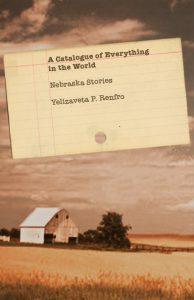 Ms. Renfro’s essay collection, Xylotheque, was published in the University of New Mexico Press in April 2014. 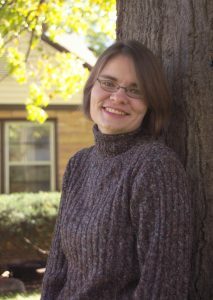 A Pushcart Prize nominee, she is the editor of Keeping Track: Fiction of Lists (Main Street Rag, 2012). Reading, writing, and teaching are deeply interconnected pursuits in my life. I bring my full experiences as a reader and writer to the classroom, modeling for my students how writing and engaging with texts can be a rewarding way of living in the world. I urge my students to approach writing not as a mechanical way of getting down their preconceived ideas, but as a method of exploration by which they can discover what is truly important to them and why. In the classroom I position myself as a working writer, sharing and reflecting on my own writing process with my students. I want students to see writing as a journey that is guided by revision. Through my own work I show my students that you don’t simply get some words down, declare them good enough, and you’re done. You stay with the work, you ask questions, you polish, you listen to others, you massage and excise until you have a piece of writing that sparkles, each facet necessary and precise.